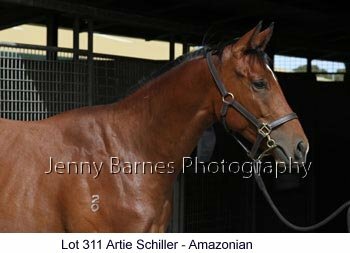 By Artie Schiller this filly is from the Woodman mare Amazonian who has had one to race for a placegetter overseas and is from the family of Secret Flyer, El Maze, Luvuleo, Almazyoon, etc. 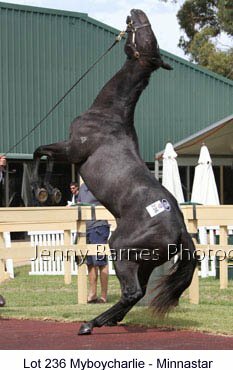 Offered by Sullivans Run she was sold to B Smart for $61,000 and was the sales topper of the second session. 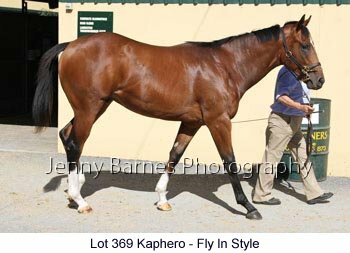 The second living foal of Flying Spur mare Fly In Style this colt is the half brother to winner Highness and is from the first crop of Kaphero. 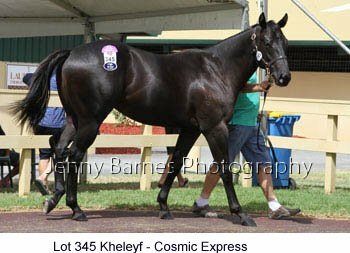 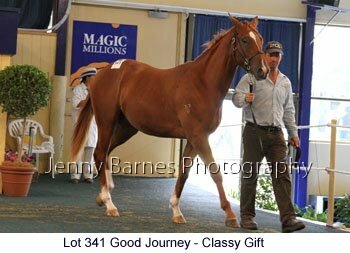 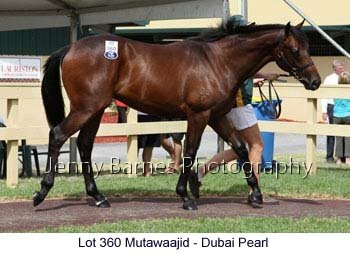 Offered by Kiah Glenn (as agent for Yurilla Fields) he is from the family of Al Mundhir, Hollywood Story, Seattle Ftiz etc (all overseas stakeswinners) and was sold to J Macmillan for $30,000. 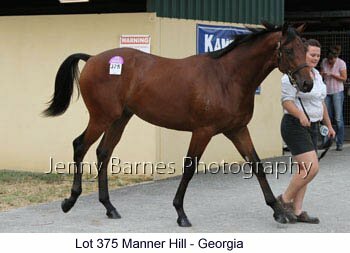 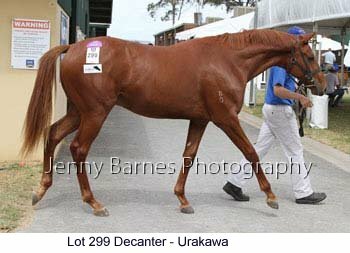 Offered by Eliza Park (as agent) this colt is by the Danehill sire Manner Hill from Georgia who has had 6 to race for 6 winners including the stakeswinner Peach Tree. 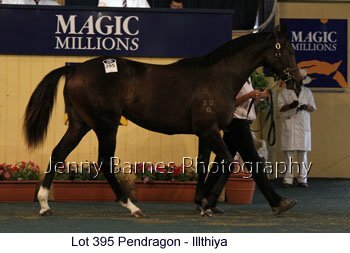 From the family of Triscay and La Baraka he was sold to Magic Millions as Agent Singapore for $28,000. 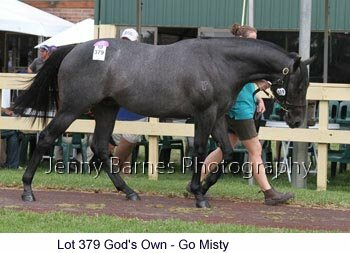 From the family of Tennessee Vain, Tennessee Mist, Tennessee Magic, Tennessee Jack, Vain Rancher, etc this colt is by God's Own from the Zephyr Bay mare Go Misty who has had four to race for three winners. 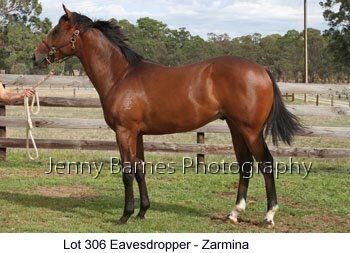 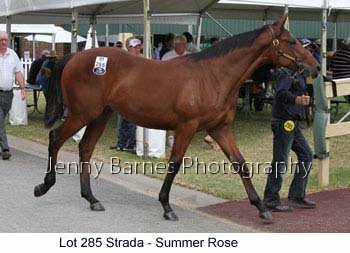 Offered by Lauriston Thoroughbreds Farm he was sold to J Murray for $22,000. 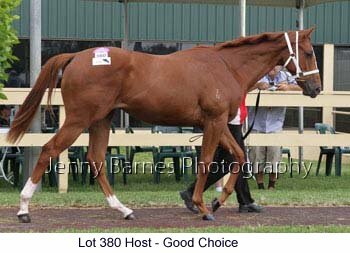 Offered by Kirkliston Stud this filly is from the second crop of Hussonet sire Host and is from the Final Card mare Gold Choice who has had 2 to race for the multiple winner Finiguerra while second dam Razor Choice produced 3 named foals for three winners. 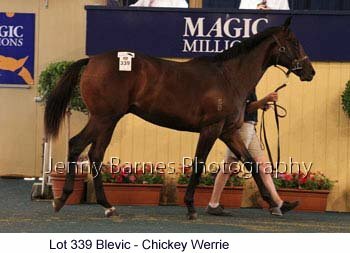 She was purchased by C Cooke/N Burke Vic for $17,000. 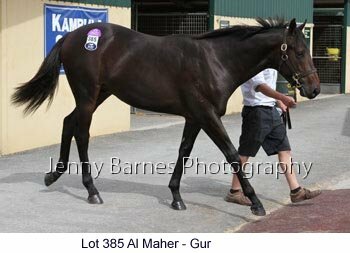 By Al Maher this colt is from the Lake Coniston mare Gur who has produced multiple winner Whisper Downs as her only foal to race. 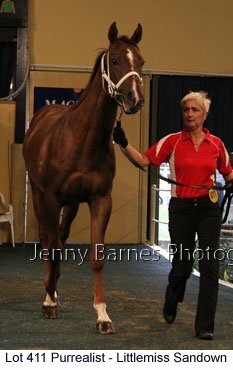 Second dam is the 15 tiome winner Golf Circuit who has produced stakeswinner Down the Wicket and stakesplaced Over the Wicket. 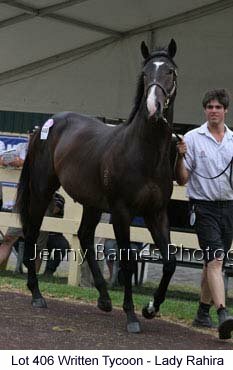 Offered by Eliza Park (as agent) this colt was sold to RWH Thoroughbreds Vic $23,000. 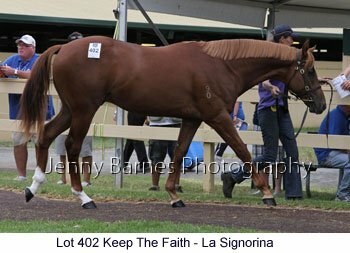 By Keep the Faith this colt is from La Signorina who is yet to be represented on the racetrack and is from the family of Si Senor, Bello Signor, Canali, etc. 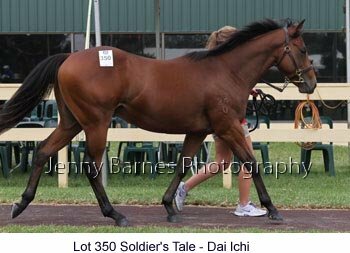 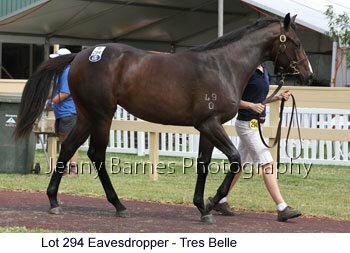 Offered by LA Treloar this colt was purchased by Cameron Cooke Bloodstock for $28,000. 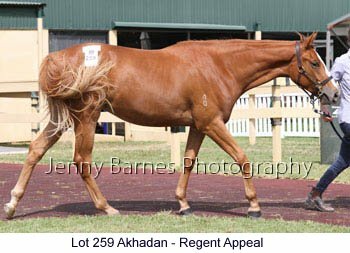 Offered by Kirkliston Stud this colt is from the second crop of Purrealist and is the second foal of Littlemiss Sandown who is yet to be represented on the track. 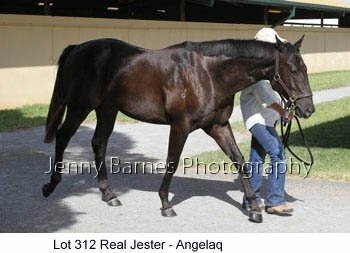 From the family of Pray in Vain, Going to Jackson, Personal Ensign, etc he was sold to Kennewell Racing for $30,000.